Hans Joerg Tiede is a professor of computer science at Illinois Wesleyan University, but he’s also an historian -- at least of the American Association of University Professors. Tiede, a member of the AAUP’s Committee A on Academic Freedom and Tenure, has been telling the organization’s story at various events this year as it celebrates its centennial. He’s also penned its creation story in a new book out from Johns Hopkins University Press called University Reform: The Founding of the American Association of University Professors. The book chronicles the circumstances, events and personalities that led to the formation of the AAUP in 1915, and also takes on certain myths about its creation -- primarily the idea that it has always been an organization primarily dedicated to defending professors’ rights. Tiede, who will begin a staff stint with the AAUP’s national office of tenure, academic freedom and governance in January, answered questions about the book and about how he thinks AAUP might evolve in the next 100 years to stay relevant. Q: The AAUP today is synonymous with academic freedom. But you argue that the AAUP originally formed to advance the professionalization of the professoriate, similar to the role of the American Bar Association for lawyers. What exactly does that mean, and how did university governance structures in 1915 differ from what they look like today on many campuses, with faculty senates? A: In 1915, trustees and regents regularly exercised much more direct control over day-to-day operations of the university than they do now. They often viewed professors as their employees, or “hired men,” to use a term of derision the founders of the AAUP employed, and treated them accordingly. The founders of the AAUP wanted to establish a role for the faculty in institutional governance that would make them the equals of the trustees rather than their subordinates. Academic freedom was an important part of changing the role of professors, since it directly related to their professional autonomy, but it was only one part in the overarching goal of the AAUP. A term that AAUP co-founder Arthur Lovejoy [a professor of philosophy at Johns Hopkins University] employed to describe his vision of the university was that of a “self-governing republic of scholars.” While he saw a role for trustees in oversight, he did not believe that they should have final authority over academic matters. The rhetoric the founders of the AAUP employed to criticize the existing form of university governance mirrored the form in which Progressive Era reformers criticized the existing form of political order in the United States, which they thought should be modified to account for changes in modern society. The lay governing board was seen as an outdated, colonial-era invention, which are terms that were used by some political reformers to describe the U.S. Constitution. The AAUP was very much a product of Progressive Era thought, which is the reason for my choice of the title of the book: University Reform. 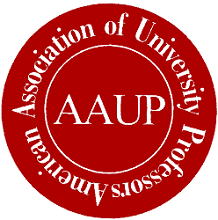 The founders of the AAUP saw the association as a movement for a reform of the university that would bring greater power to the faculty. Q: When did academic freedom emerge as a focus for the AAUP? And can you talk a little bit about the Edward Ross case?